This tether, food & water bowl will keep your dog secured, fed and hydrated. 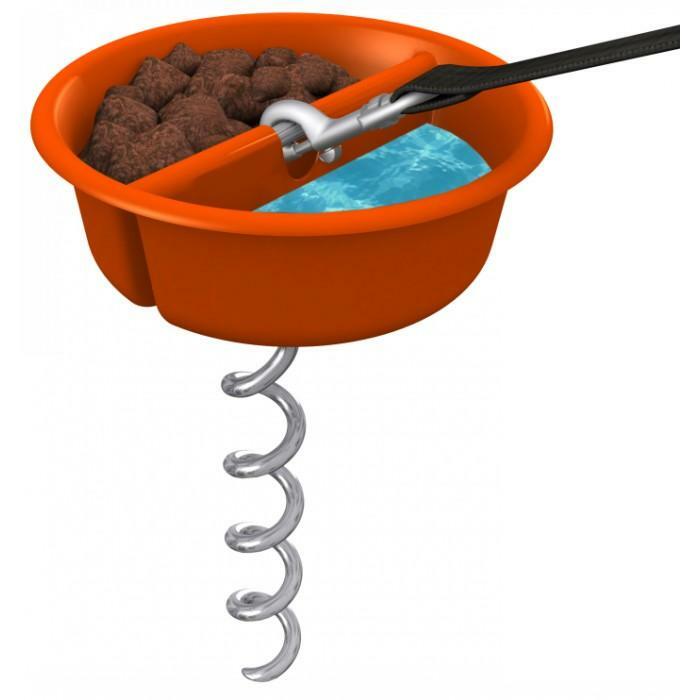 Tether, food & water bowl all in one! Why not make traveling with your dog much more convenient? 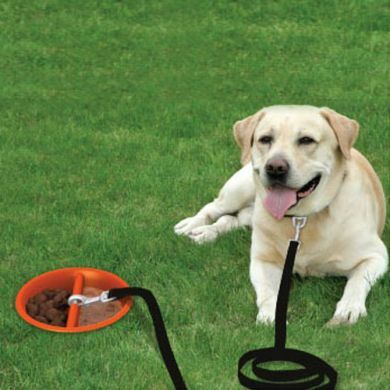 How many times have you needed to tether your dog for a short while while you unpack your car or put up your tent? Sometimes it's hard to find the right spot. 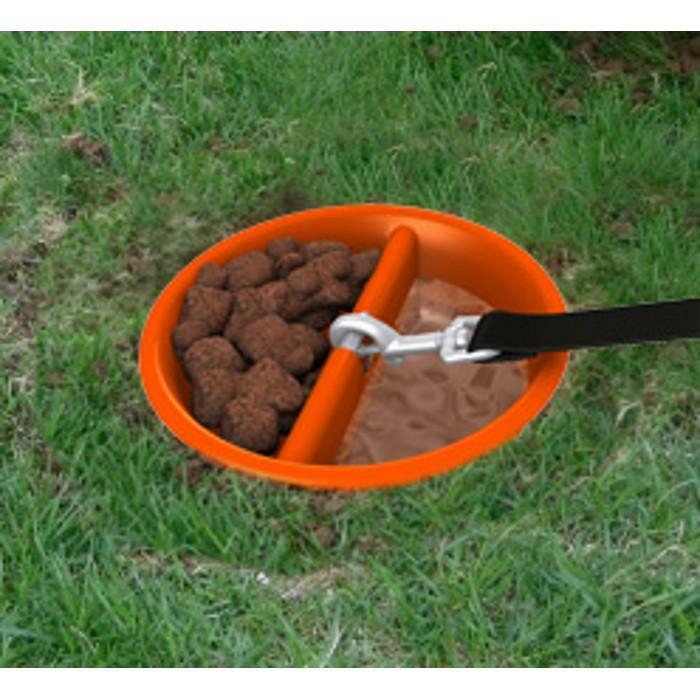 Lots of customers have asked us to stock a tether and now we've found the perfect multifunctional option. The top of this tether is a divided dog bowl so that your dog always has access to food and water. And the bowl doesn't spill because it's tethered into the ground! You clip your lead right to the top. The height of the bowl is low so that your dog doesn't get tangled up as can happen with a taller tether. And the bright orange dish make it easy to spot from a distance. 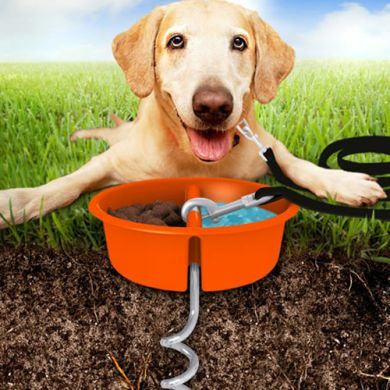 We believe tethered dogs should ALWAYS have access to water which is why we like this one so much. Remember that tethering is a short term activity. Dogs are not meant to be tethered for very long stretches of time.